This week I'm going to introduce you to my Laundry room....ooooh. Yeah, that's a big deal coming from me. But I think I have recooperated enough from my Garage makeover to actually give you a glimpse inside the room that houses my families dirty clothes. Excited? Maybe not. At least, that is, until you see my inspiration board accumulation by Pinterest. Check it out! 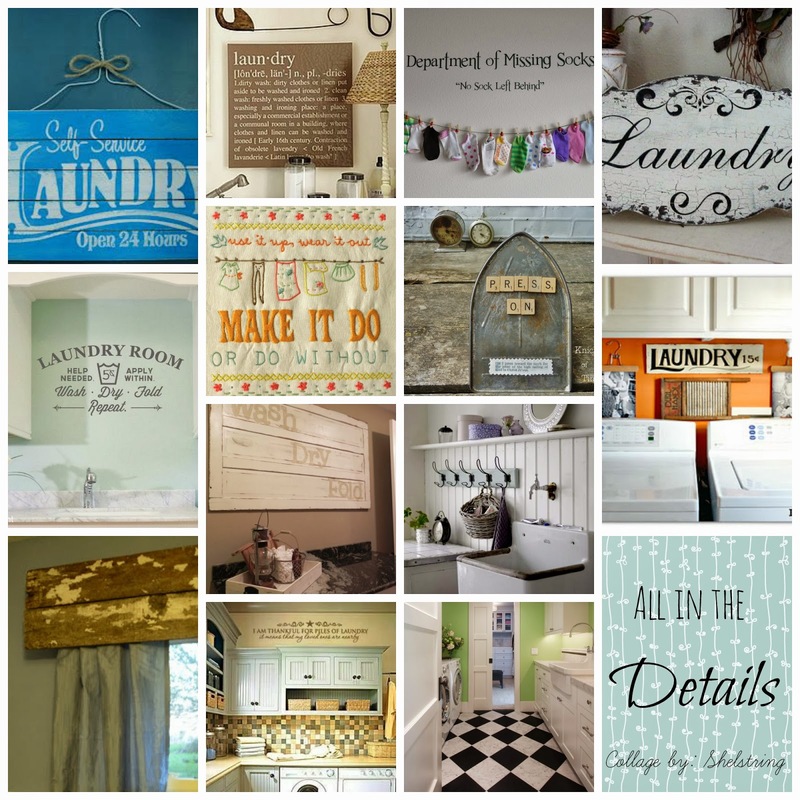 The fun thing about a room like the Laundry Room, is that: Anything goes, and I mean ANYTHING! I've decided to take it one step at a time. Starting with the paint color, and the floor... gradually moving on to the cupboards. These backdrop changes will bring about big results...hopefully the ones I'm expecting. I am! It will be thrilling to finally encorporate all the ideas I've been collecting for so long. After all, shouldn't it be like this magazine picture indicates? "Look forward to Laundry Day"? I'm super excited to finally be approaching these changes and having you join along! Ooh, and guess what!? I now have a facebook page. 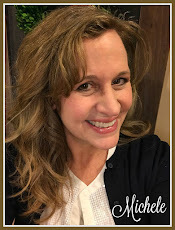 Come "like" it and follow my progress! Sorry, but I can't pick just one! I like everything you have chosen! Loved the signs and the Department of Missing Socks. Laughed when I saw the Self Service sign. The self service person in this house would be me! Can't wait to see what you do! 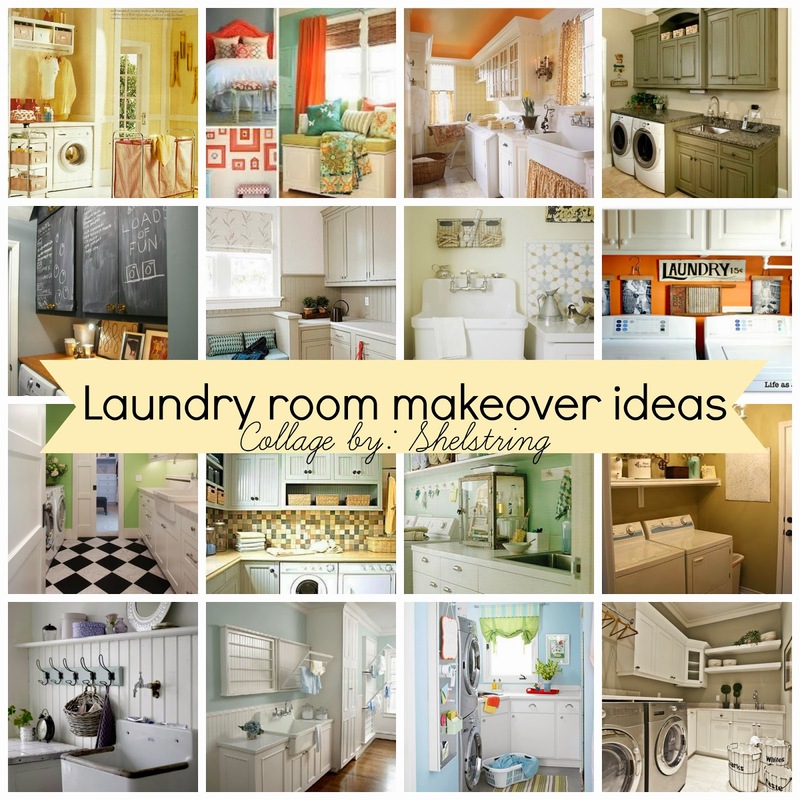 I dream of a cute laundry room, too. Love your inspiration pics!